Figure 1. 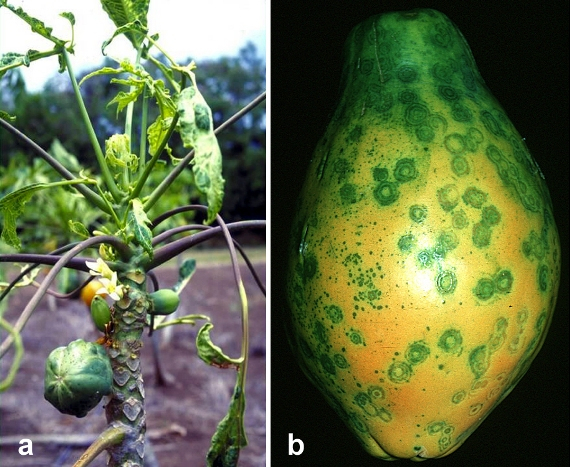 The symptoms of papaya ringspot virus are shown on the tree (a) and fruit (b). “This work” is in the Public Domain, CC0. In the early 1990s, an emerging disease was destroying Hawaii’s production of papaya and threatening to decimate the $11 million industry (Figure 1). Fortunately, a man named Dennis Gonsalves, who was raised on a sugar plantation and then became a plant physiologist at Cornell University, would develop papaya plants genetically engineered to resist the deadly virus. By the end of the decade, the Hawaiian papaya industry and the livelihoods of many farmers were saved thanks to the free distribution of Dr. Gonsalves seeds. Nearly all the fruits and vegetables found in your local market would not occur naturally. In fact, they exist only because of human intervention that began thousands of years ago. Humans created the vast majority of crop species by using traditional breeding practices on naturally-occurring, wild plants. These practices rely upon selective breeding (human assisted-breeding of individuals with desirable traits). Traditional breeding practices, although low-tech and simple to perform, have the practical outcome of modifying an organism’s genetic information, thus producing new traits. An interesting example is maize (corn). 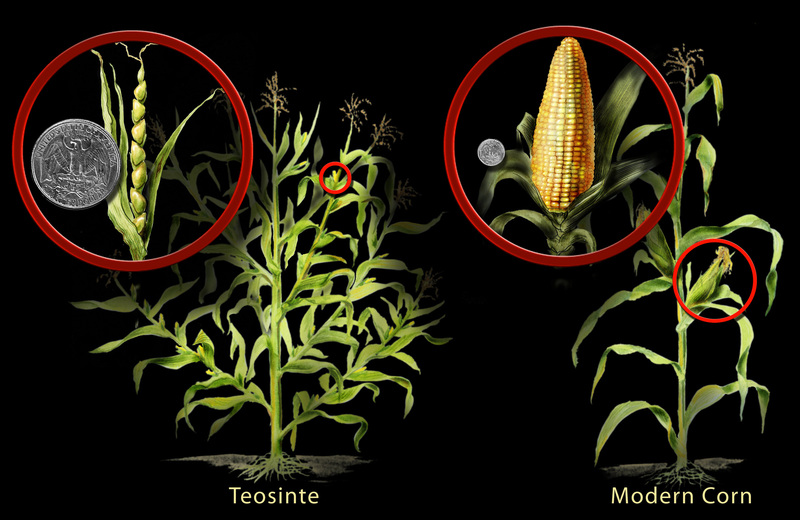 Biologists have discovered that maize was developed from a wild plant called teosinte. Through traditional breeding practices, humans living thousands of years ago in what is now Southern Mexico began selecting for desirable traits until they were able to transform the plant into what is now known as maize. In doing so, they permanently (and unknowingly) altered its genetic instructions, allowing for new traits to emerge. Considering this history, we might ask the question: is there really such a thing as “non-GMO” maize? Figure 2. A wild grass called teosinte was genetically modified through selective breeding to produce what is now known as maize (corn). This process of transformation started thousands of years ago by indigenous people of what is now Mexico. “This work” by Nicolle Rager Fuller, National Science Foundation is in the Public Domain, CC0. This history of genetic modification is common to nearly all crop species. For example, cabbage, broccoli, Brussel sprouts, cauliflower, and kale were all developed from a single species of wild mustard plant (Figure 2). Wild nightshade was the source of tomatoes, eggplant, tobacco, and potatoes, the latter developed by humans 7,000 – 10,000 years ago in South America. To produce new traits in livestock, pets, crops, or other type of organism, there almost always has to be an underlying change in that organism’s genetic instructions. What many people might not understand is that traditional breeding practices do, in fact, result in permanent genetic changes and is therefore a type of genetic modification. This misunderstanding may arise because traditional breeding practices do not require sophisticated laboratory equipment or any knowledge of genetics, which some may see as a perquisite for genetic modification. How do traditional breeding practices compare to modern genetic engineering? Both result in changes to an organism’s genetic information, but the magnitude of those changes varies amongst the two techniques (Figure 3). Traditional breeding shuffles all of the genes between the two organisms being bred, which can number into the tens of thousands (maize, for example, has 32,000 genes). When mixing such a large number of genes, the results can be unpredictable. Modern genetic engineering is more precise in the sense that biologists can modify just a single gene. Also, genetic engineering can introduce a gene between two distantly-related species, such as inserting a bacterial gene into a plant. Such transfer might seem unusual, but it is not without its equivalent in nature. In a process called horizontal gene transfer, DNA from one species can be inserted into a different species. One recent study, for example, has found that humans contain about 150 genes from other species, including bacteria. Figure 4. Both traditional breeding and modern genetic engineering produce genetic modifications. Genetic engineering allows for fewer and more precise genetic modifications. FDA graphic by Michael J. Ermarth (Methods of Plant Breeding) [CC0 Public Domain], via Wikimedia Commons. Figure 5. White rice and Golden rice. Genetically engineered “Golden Rice” contains up to 35 μg β-carotene per gram of rice, which could prevent millions of cases of blindness worldwide. Advances in biotechnology may provide consumers with foods that are nutritionally-enriched (Figure 4), longer-lasting, or that contain lower levels of certain naturally occurring toxins present in some food plants. For example, developers are using biotechnology to try to reduce saturated fats in cooking oils, reduce allergens in foods, and increase disease-fighting nutrients in foods. Biotechnology may also be used to conserve natural resources, enable animals to more effectively use nutrients present in feed, decrease nutrient runoff into rivers and bays, and help meet the increasing world food and land demands. Biotechnology may provide farmers with tools that can make production cheaper and more manageable. For example, some biotechnology crops can be engineered to tolerate specific herbicides, which make weed control simpler and more efficient. Other crops have been engineered to be resistant to specific plant diseases and insect pests, which can make pest control more reliable and effective, and/or can decrease the use of synthetic pesticides. These crop production options can help countries keep pace with demands for food while reducing production costs. Biotechnology has helped to make both pest control and weed management safer and easier while safeguarding crops against disease. For example, genetically engineered insect-resistant cotton has allowed for a significant reduction in the use of persistent, synthetic pesticides that may contaminate groundwater and the environment. In terms of improved weed control, herbicide-tolerant soybeans, cotton, and corn enable the use of reduced-risk herbicides that break down more quickly in soil and are non-toxic to wildlife and humans. Figure 6. 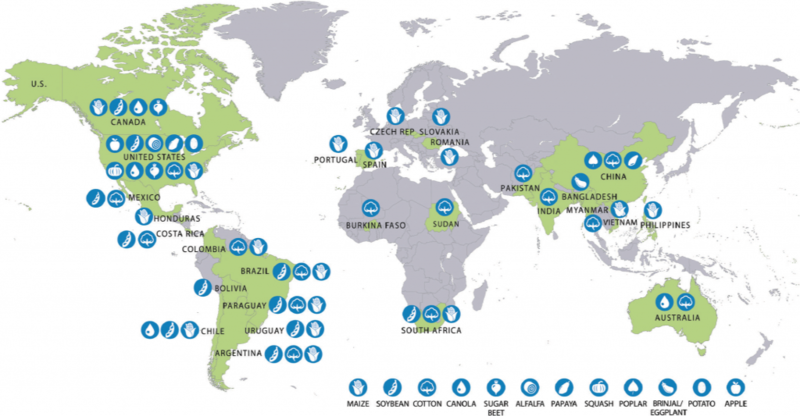 Worldwide, GE crops account for 12% of all agricultural production in 2015. Shown here are GE crops by nation.“This work” by NASEM is in the Public Domain, CC0. The complexity of ecological systems presents considerable challenges for experiments that assess the risks and benefits of GE crops. Assessing such risks is difficult, because both natural and human-modified systems are highly complex and fraught with uncertainties that may not be clarified until long after an experimental introduction has been concluded. Critics of GE crops warn that their cultivation should be carefully considered within broader ecosystems because of their potential benefits and hazards to the environment. In addition to environmental risks, some people are concerned about potential health risks of GE crops because they feel that genetic modification alters the intrinsic properties, or essence, of an organism. As discussed above, however, it is known that both traditional breeding practices and modern genetic engineering produce permanent genetic modifications. Further, traditional breeding practices actually have a larger and more unpredictable impact on a species’ genetics because of its comparably crude nature. Considering this, it is wise that both new GE crops and traditionally produced crops should be studied for potential human health risks. To address these various concerns, the US National Academies of Sciences, Engineering, and Medicine (NASEM) published a comprehensive, 500-page report in 2016 that summarized the current scientific knowledge regarding GE crops. 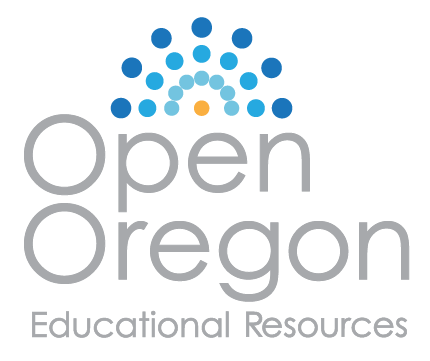 The report, titled Genetically Engineered Crops: Experiences and Prospects, reviewed more than 900 research articles, in addition to public comments and expert testimony. Results from this seminal report, hereafter referred to as the “GE Crop Report” for brevity, is shared in the various subsections below. Through interbreeding, or hybridization, GE crops might share their genetically-modified DNA with wild relatives. This could affect the genetics of those wild relatives and have unforeseen consequences on their populations, and could even have implications for the larger ecosystem. For example, if a gene engineered to confer herbicide resistance were to pass from a GE crop to a wild relative, it might transform the wild species into a ‘super weed’ – a species that could not be controlled by herbicide. Its rampant growth could then displace other wild species and the wildlife that depends on it, thus inflecting ecological harm. NASEM’s GE Crop Report did find some evidence of genetic transfer between GE crops and wild relatives. However, there was no evidence of ecological harm from that transfer. Clearly, continued monitoring, especially for newly-developed crops, is warranted. The International Federation of Organic Agriculture Movement has made stringent efforts to keep GE crops out of organic production, yet some US organic farmers have found their corn (maize) crops, including seeds, contain detectable levels of genetically engineered DNA. The organic movement is firm in its opposition to any use of GE crops in agriculture, and organic standards explicitly prohibit their use (however, keep in mind that even “organic” maize has incurred significant genetic modification compared to its wild relative, teosinte). The farmers, whose seed is contaminated, have been under rigid organic certification, which assures that they did not use any kind of genetically modified materials on their farms. Any trace of GE crops must have come from outside their production areas. While the exact origin is unclear at this time, it is likely that the contamination has been caused by pollen drift from GE crop fields in surrounding areas. However, the contamination may have also come from the seed supply. Seed producers, who intended to supply GE crop-free seed, have also been confronted with genetic contamination and cannot guarantee that their seed is 100% GE crop-free. An early study indicated the pollen from a particular type of genetically modified corn may be harmful to the caterpillars of monarch butterflies, This type of corn, known as Bt corn, is genetically modified to produce a bacterial protein that acts as an insecticide. This trait is favorable because it reduces the amount of insecticides used by farmers. Pollen from Bt corn can be harmful to caterpillars, but only at very high concentrations. These concentrations are seldom reached in nature and follow-up studies have found the effect of Bt corn to be negligible. NASEM’s GE Crop Report documents that the validity of that initial monarch study was questioned by other scientists and this ultimately led to a large, multi-national study funded by the US and Canada. They found that the vast majority of Bt corn grown did not represent a risk to monarchs. However, one strain of Bt corn did, and it was consequently removed from the market. The GE Crop Report also mentioned a separate threat to monarch: loss of milkweed, which is critical to the butterfly’s lifecycle. Some GE crops are engineered to resist the herbicide glyphosate. Farmers using these crops can spray their entire field with the herbicide, which kills milkweed but not their GE crop. This can lower the amount of milkweed growing within the habitat range of monarchs. The report concluded that more studies are needed to quantify the actual impact this may be having on monarch populations. At least some of the genes used in GE crops may not have been used in the food supply before, so GM foods may pose a potential risk for human health, such as producing new allergens. But this is also true of crops generated by traditional breeding practices (because both produce genetic modifications and thus new traits). Like other ‘controversial’ scientific issues, the scientific consensus on GE crops is quite clear: they are safe. The UN’s Food and Agriculture Organization has concluded that risks to human and animal health from the use of GMOs are negligible. NASEM’s GE Crop Report found “no substantiated evidence of a difference in risks to human health between current commercially available genetically engineered (GE) crops and conventionally bred crops, nor did it find conclusive cause-and-effect evidence of environmental problems from the GE crops.” The American Medical Association’s Council on Science and Public Health, in 2012, stated that “Bioengineered foods have been consumed for close to 20 years, and during that time, no overt consequences on human health have been reported and/or substantiated in the peer-reviewed literature.” Similar statements have been made by the US National Resource Council and the American Association for the Advancement of Science, which publishes the preeminent scholarly journal, Science. The potential of GE crops to be allergenic is one of the potential adverse health effects and it should continue to be studied, especially because some scientific evidences indicates that animals fed GE crops have been harmed. NASEM’s GE Crop Report concluded that when developing new crops, it is the product that should be studied for potential health and environmental risks, not the process that achieved that product. What this means is, because both traditional breeding practices and modern genetic engineering produce new traits through genetic modification, they both present potential risks. Thus, for the safety of the environment and human health, both should be adequately studied. Intellectual property rights are one of the important factors in the current debate on GE crops. GE crops can be patented by Agri-businesses, which can lead to them controlling and potentially exploiting agricultural markets. Some accuse companies, such as Monsanto, of allegedly controlling seed production and pricing, much to the detriment of farmers. NASEM’s GE Crop Report recommends more research into how the concentration of seed-markets by a few companies, and the subsequent reduction of free market competition, may be affecting seed prices and farmers. Are GE Crops the Solution We Need? Significant resources, both financial and intellectual, have been allocated to answering the question: are GE crops safe? After many hundreds of scientific studies, the answer is yes. But a significant question still remains: are they necessary? Certainly, such as in instances like Hawaii’s papaya, which were threated with eradication due to an aggressive disease, genetic engineering was a quick and effective solution that would have been extremely difficult, if not impossible, to solve using traditional breeding practices. However, in many cases, the early promises of GE crops – that they would improve nutritional quality of foods, confer disease resistance, and provide unparalleled advances in crop yields – have largely failed to come to fruition. NASEM’s GE Crop Report states that while GE crops have resulted in the reduction of agricultural loss from pests, reduced pesticide use, and reduced rates of injury from insecticides for farm workers, they have not increased the rate at which crop yields are advancing when compared to non-GE crops. Additionally, while there are some notable exceptions like golden rice or virus-resistant papayas, very few GE crops have been produced to increase nutritional capacity or to prevent plant disease that can devastate a farmer’s income and reduce food security. The vast majority of GE crops are developed for only two purposes: to introduce herbicide resistance or pest resistance. Genetic engineering of crops represents in important tool in a world of rapidly changing climate and a burgeoning human population, but as you will see in the next chapter, it is only one of many tools that agriculturists can use to produce enough food for all humans while simultaneously working to conserve the environment. The History of Genetic Modification of Crops and Are GE Crops the Solution We Need? by Matthew R. Fisher are licensed under CC BY 4.0. “Genetically Modified Foods and Social Concerns” by Behrokh Mohajer Maghari and Ali M. Ardekani is licensed under CC BY-NC 4.0. Modified from the original by Matthew R. Fisher.